Joining the city’s celebration of the Year of Chicago Theatre, the 2019 season is entitled ACTIVATE: Backstage and will highlight the local performing arts community, including drag performers, lighting designers, stage decorators, comedians and circus acts. The curators behind this summer’s ACTIVATE lineup are creative entrepreneur Missy Perkins, talent manager Roe Melloe, musician Miss Alex White, production agency Sonidos and performance group Hot Kitchen. 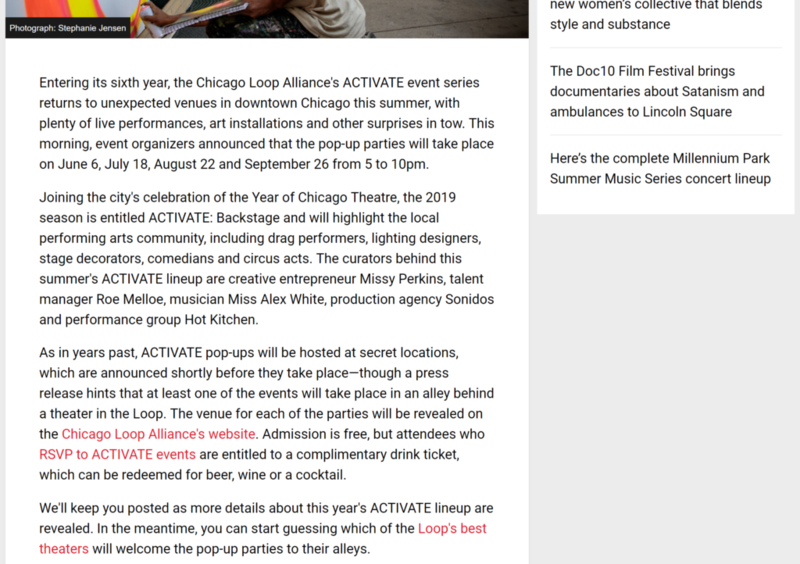 As in years past, ACTIVATE pop-ups will be hosted at secret locations, which are announced shortly before they take place—though a press release hints that at least one of the events will take place in an alley behind a theater in the Loop. The venue for each of the parties will be revealed on the Chicago Loop Alliance’s website. Admission is free, but attendees who RSVP to ACTIVATE events are entitled to a complimentary drink ticket, which can be redeemed for beer, wine or a cocktail. We’ll keep you posted as more details about this year’s ACTIVATE lineup are revealed. 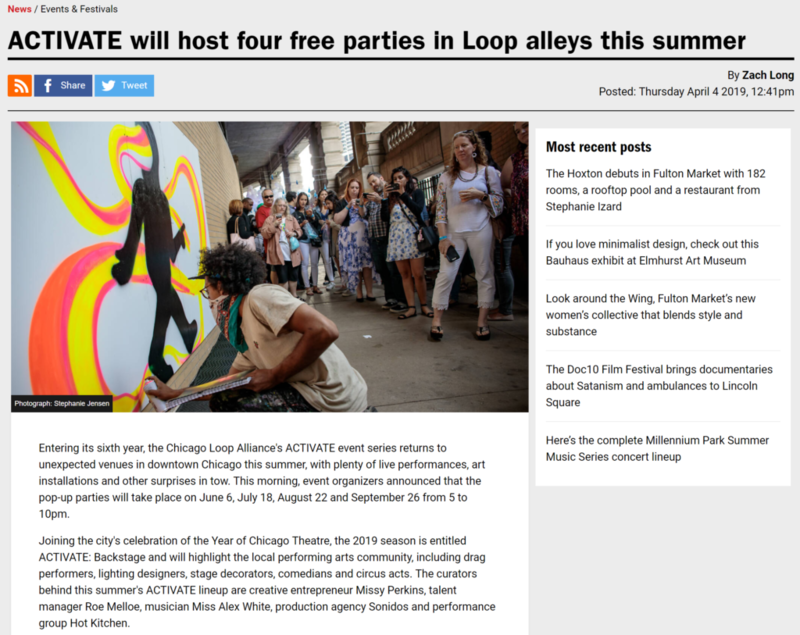 In the meantime, you can start guessing which of the Loop’s best theaters will welcome the pop-up parties to their alleys.